Dannie Abse was for many years a chest specialist in a London teaching hospital. A poet, reviewer and playwright, he has written and edited more than fifteen books of poetry, as well as books about medicine and also fiction. He is the author of Ash on a Young Man's Sleeve and several autobiographical volumes, including Goodbye, Twentieth Century, which was published in 2001 to critical acclaim. He died, at the age of 91, in September 2014. 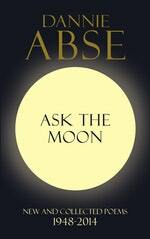 Be the first to find out about Dannie Abse.